Living in the middle of a national forest has its advantages. Driving home from town the other day my husband stops the car. He gets out and walks over to a dogwood tree, jumps up, pulls a flower off, and brings it to me. The children and I take turns smelling the fragrant aroma and discussing its beauty. During the drive we were able to enjoy the sight of several dogwood trees. I commented that I would love to have one in my yard. Later that evening my boys rushed into the house and said, “Mom, come here! We have something to show you!” They brought me over to my bedroom window and opened the shade. 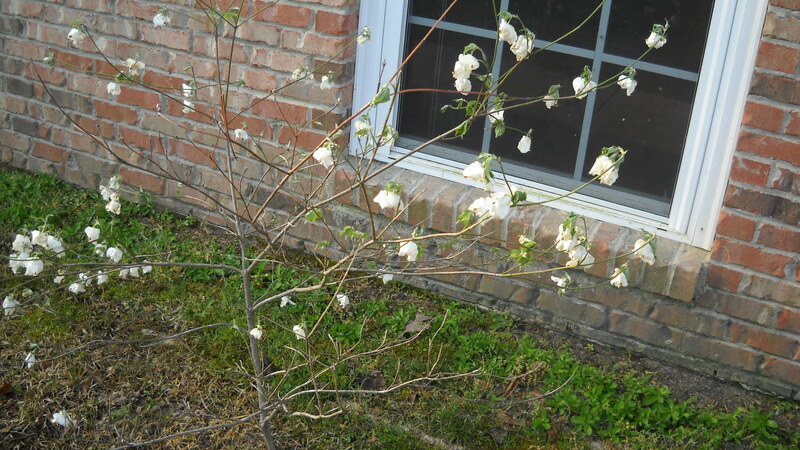 To my surprise there was a tiny dogwood tree planted right outside my window. It was beautiful! Of course, it was just a large branch that they stuck into the ground. We all knew that our “tree” would not last. But the motive behind my boy’s action was that of eternal splendor. My boys wanted to please me and the desire came from their love for me. Last night as I was reading in I John, I came across a verse that made me think about this story again. “For this is the love of God, that we keep his commandments: and his commandments are not grievous,” 1John 5:3. God’s commandments are not burdensome! Our obedience to our Lord should be from a heart’s desire to please Him, not because we have to obey but because we want to! Just as it was in no way burdensome to my boys to show their love for me in action, so should it never be grievous or burdensome for us, as God’s children, to show our love in obedience. Will I always obey with pure delight? No! But I will say this. The only time the commandments of God become grievous to me is when I am doing them in the flesh. When I am walking in the Spirit, His commands are joyous. My obedience flows from a love I have for my Father because of His great love for me. So the next time I look at a dogwood tree it will serve as a reminder of God, His love, and His blessed commands. That was so sweet. The spiritual lesson was very good but the desire for your sweet boys to please you almost brought a tear to my eye.